Greetings! I am a writer and Polarity Therapy instructor. 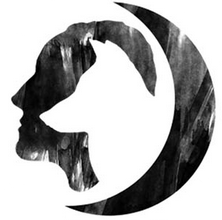 I lead retreats with Wolves, and facilitate workshops for Women on Healing and Reproductive Health. I am a lover of Life, Travel and Experience. On my 'down-time' from Creation, I am out roaming the land with my coydog, Nala Bear. Read More How To Be A Friend. This must be okay because this is what’s happening. Read More This Must Be Okay. Read More That Wild Woman is Me.